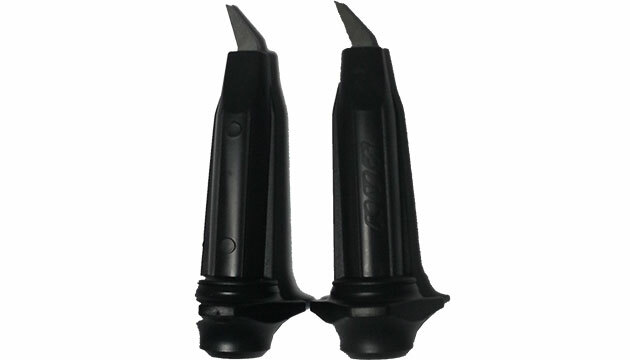 The KV Plus Antishock pole tips have been developed for Cross Skating & Rollerski use. Inside the tip is a robust spring that absorbs the shock of the impact. There are several advantages of this shock absorbing pole tip. The antishock pole tip is made of high end videa steel. It can be installed with hotglue on 10mm diameter poles. Also with the use of more hot glue you can use it on on 8mm & 9mm poles. We will include a piece of hotglue with the antishock pole tips for free.